Problems with water or precipitation leaking down through the chimney are common problems for homeowners with a fireplace. 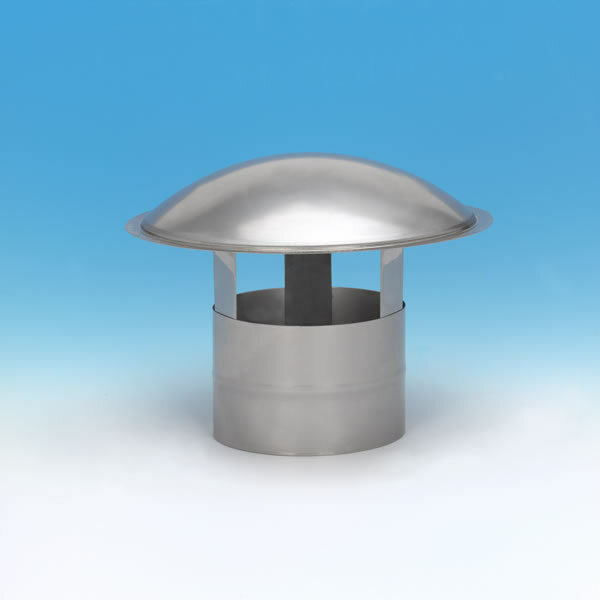 HomeSaver's rain cap is designed for 7 inch chimney liners to help keep out unwanted rain. This cap is constructed from 304 alloy stainless steel and has no band connection. There's no chimney liner this cap won't fit with available sizes all the way from 3 inches up to 12 inches. Save yourself the trouble of water damage through your chimney with this sturdy rain cap.